Don’t you want to be moved? Enchanted? Wowed? Let’s go make that happen! London, simply put, has an enormous amount of mega art. By “mega art,” I mean hugely influential famous art from throughout history. 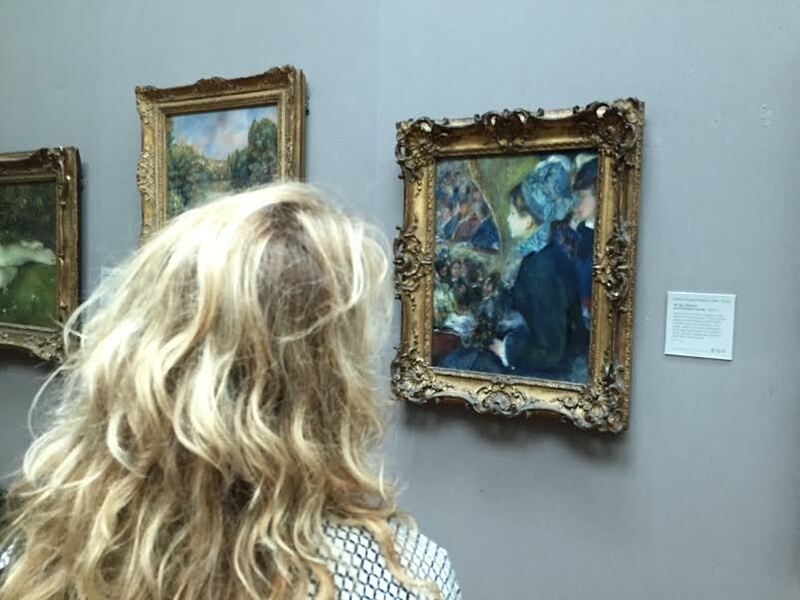 One can stroll the museums there and take a walk through time in the medium of art. Badass art! Moved to tears, feeling like a giant sap, I wept my way through the National Gallery and the Turner galleries at the Tate Britain. J.M.W. 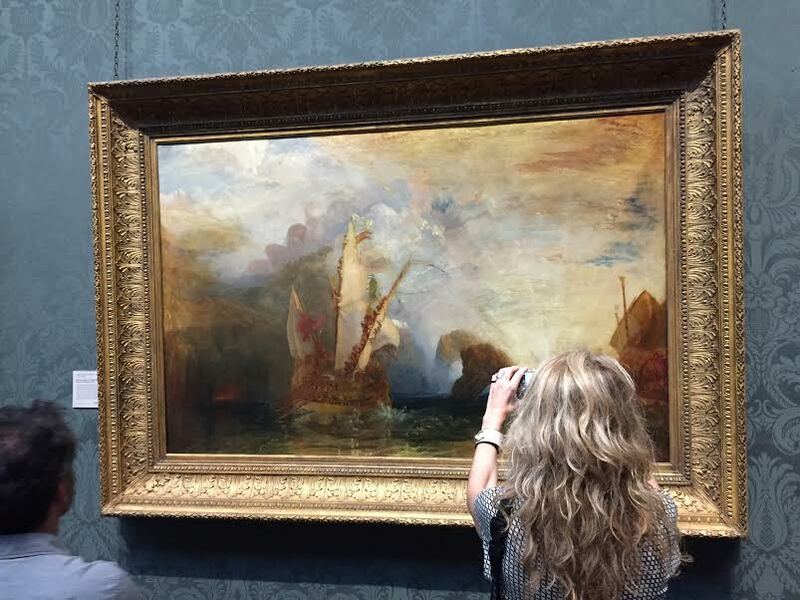 Turner is an artist whose work has to be viewed in real life. On paper, in books, you know it’s exceptional, but in person, you might just get swept away. He was a landscape painter. Better put, he set landscapes free. Free from the confines of the Royal Academy of Art and its stuffy rules. Free from expectation and free to be paint on canvas and nothing more or less. He was a master who had so mastered his craft that he could set it free so to speak. In no way is his work all “loosey goosey”; it’s masterful, but free. Especially the work from the last 15 or so years of his life. This is true for many artists through history. In their latter years, I suspect — as in life itself — you feel more free to do as you please and care less what others think. Maybe we could all learn from that. What do you think? There is a desire here to inspire you to go, gaze upon art and let yourself be moved. There are stories there in these paintings — uncover them with joy and wonder! What are inspires you? I’d love to hear from you in the comments below or on my Facebook page!